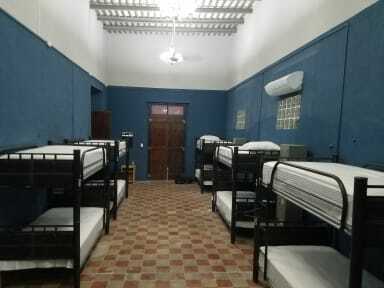 Hostal Xíinbal is the ideal place to stay for all those travelers who like to explore the beautiful and historic city of Mérida. Our location is superb because It is the perfect place to explore the city and meet like-minded travelers from all over the world. We are located downtown and just minutes from some of the finest landmarks and most renowned attractions of the area such as Plaza Grande and the city's Cathedral. In addition, numerous restaurants, coffee shops, museums, markets, ADO Bus Terminal and more attractions are also near to our facilities. Our facility offers a 10-bed mixed room, 6-bed female room, and private bedroom for two. Breakfast is included and served fresh every morning. 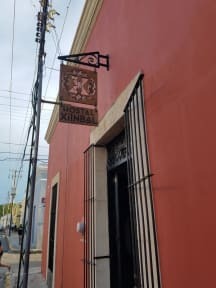 Our neighbor Cantina El Cardenal, one of Merida’s oldest and historic bar, will offer you a free drink when you stay with us!